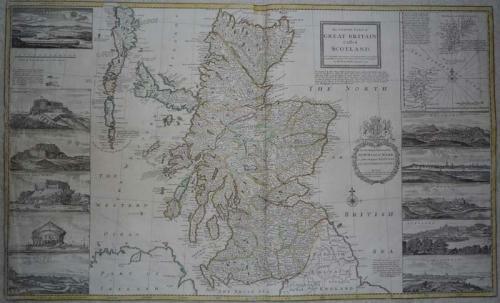 A very large map of Scotland with many decorative elements: insets of 11 castles and towns, and of the Shetland Islands. In fair condition with some repairs to the left border and backed onto linen. Cut close to the borders.